Armed with Bachelor of Science degree in Marketing and Management from SUNY Albany, Dave has 25 years of sales and marketing experience across a wide range of industries. 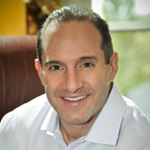 For the last 20 years, his company, The Waldman Group, has provided career coaching and sales counsel to individuals and Fortune 500 companies alike. But his true passion is health and fitness. A NASM certified personal trainer, fitness and nutrition expert, and lifetime drug-free bodybuilder, Dave decided to take everything he knew about diet and exercise and get into best shape of his life at the age of 39. Within a year, he competed in his first local bodybuilding competition and eventually became an all-natural bodybuilding champion, winning the Bantamweight title at the 2012 All-Natural INBF Mr. America Championships Dave has been featured in national and local mediums including the Charlotte Observer, Muscular Development Magazine and Ironman Magazine and even appeared on The Biggest Loser helping military service members get into shape. Dave's also passionate about giving back and in 2011, formed a non-profit 5013c, The Wingman Foundation, with his identical twin brother and retired F-16 Pilot, Colonel Rob 'Waldo' Waldman. The Wingman Foundation seeks to honor, recognize and reward our nations military veterans and their families in need. Their first event, The 2012 Ultimate Wingman Georgia Military Heroes Banquet, raised over $25,000 for four deserving Georgia based military heroes. Now he’s about to take everything he’s done and all that he’s learned and apply it to his biggest project yet! As Founder and CEO of Charlotte based Waldman Naturals, Dave is an entrepreneur on a mission to change the world’s eating habits, one ‘sprinkle’ at a time. In September 2014, Dave and his team introduced Kickers, the world’s first 100% natural fruit-based powdered food enhancer. Kickers was born in Dave's kitchen as he sought out convenient, natural ways to add some flavor to his rather bland tasting oatmeal. The result is a great tasting blend of premium, powdered food ingredients including real fruit, spices, and other natural, antioxidant rich ingredients. Kickers is Non-GMO, Gluten Free, and contains no artificial flavors, colors, sweeteners, preservatives, high fructose corn syrup or trans-fats. Sprinkle A Little Goodness® is the company’s motto & represents a brand new innovative category in the natural foods space. Hugh Cooper brings to Waldman Naturals more than 38 years of professional, operational, and accounting experience that includes 15 years in the practice of public accounting and 23 years in executive and consulting positions. He spent more than seven years working as a C- level executive in a public company, first as Chief Financial Officer, then as Senior VP of Finance and Treasurer. He negotiated multiple lines of credit and financing plans, developed synergy analyses and performed due diligence assignments on many acquisitions, and developed and implemented an operational internal audit program. 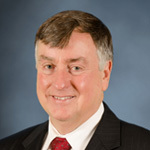 Hugh began his career with Deloitte where he served a variety of industries primarily in financial services, real estate and manufacturing. He directed services for clients in a number of SEC initial offerings and preparation of annual filings. He is currently a member of the Forensic and Valuation Services Section of the American Institute of Certified Public accountants. In early 2013, Hugh founded and is the Managing Director of Safima Solutions that is focused on helping businesses solve their toughest challenges. Safima’s flagship product is a cloud-hosted platform to support the entire finance function that includes automated management of payables and receivables, calculation and filing of sales and use taxes for every jurisdiction in the US, technology to monitor governance, risk and compliance across an entire enterprise as well as back office marketing and administrative support.